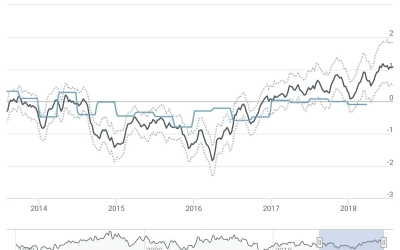 We revisit this question and find that the transmission of oil price shocks on the U.S. economy has changed as a result of the shale oil boom. An oil price increase may now actually be good news for economic activity in the U.S.
Are oil price increases bad news to the U.S. economy? 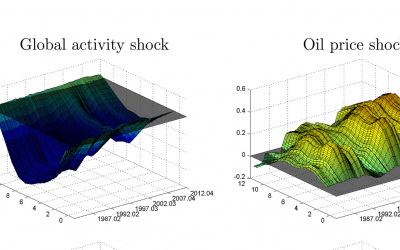 In the new CAMP working paper 08/2018, PhD candidate Julia Zhulanova and I revisit this question by analyzing if the transmission of oil price shocks on the U.S. economy has changed as a result of the shale oil boom. In a first study of this kind, we take into account spillovers from oil to various industries and employment across the U.S. states, while also allowing also dynamics to vary over time. For this purpose we specify and estimate a time-varying parameter (TVP) factor-augmented VAR (FAVAR) model with stochastic volatility. 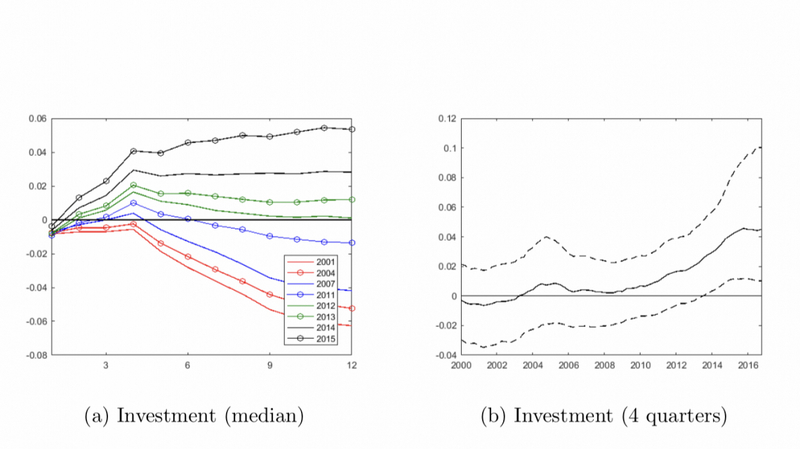 In contrast to previous results, we find considerable changes in the way oil price shocks are transmitted to the U.S economy: there are now positive spillovers to non-oil investment, employment, real personal income and production in many U.S. states from an increase in the oil price – effects that were not present before the shale oil boom. This explains why the U.S. did not experience a boom following the steep decline in oil prices between 2014 and 2016. The country has increased its reliance of oil by becoming the world’s largest oil producer. An oil price increase may now actually be good news for economic activity across the U.S.